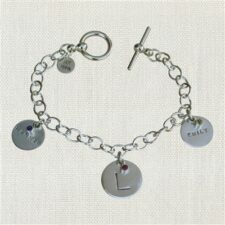 This classic charm bracelet for mom design is a sophisticated and uniquely modern twist on a charm bracelet tradition! 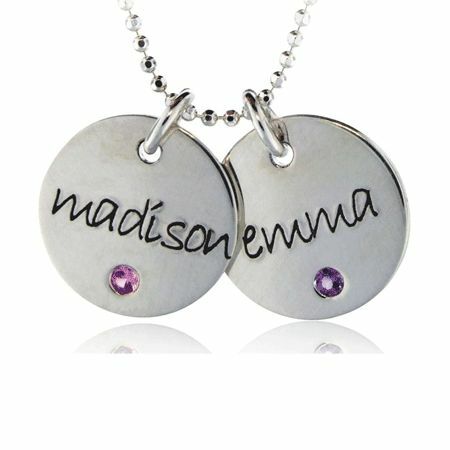 The perfect gift for mamas or stylish grandmas! 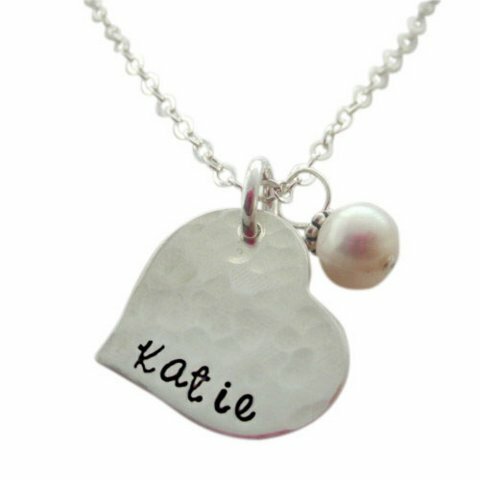 Shop My Retro Baby for name necklaces, personalized bracelets, birthstone rings and more! 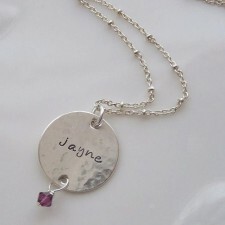 Price includes 1 charms and bracelets. 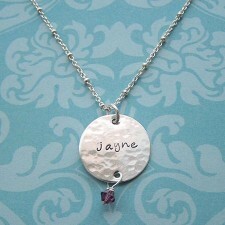 Birthstones are extra. 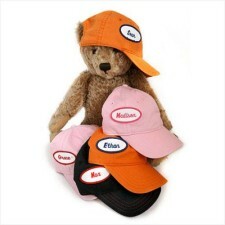 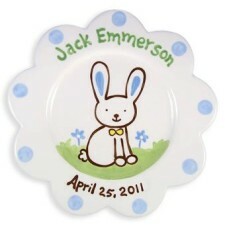 Please enter names per disc in the personalization box. 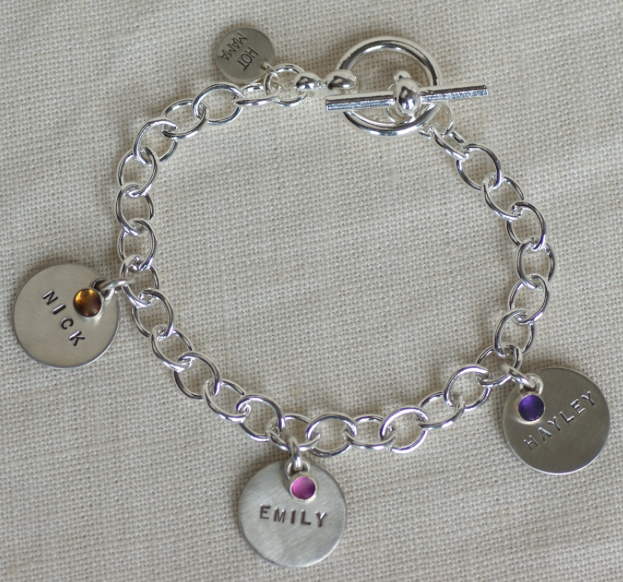 This Classic charm bracelet for mom is a gorgeous personalized bracelet. 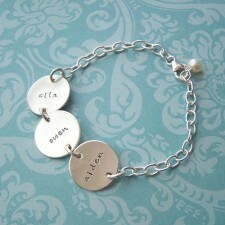 This classic charm personalized bracelet for is a great gift for mom. 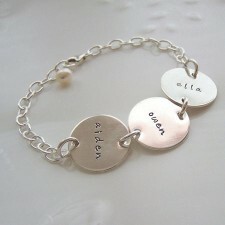 This personalized bracelet made if 100% sterling silver. 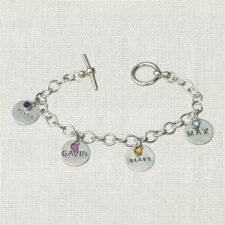 The personalized bracelet design is a sophisticated and uniquely modern twist on a charm bracelet tradition! 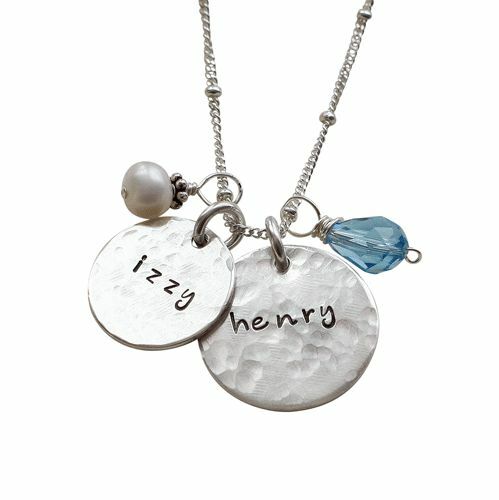 The perfect gift for mamas or stylish grandmas! 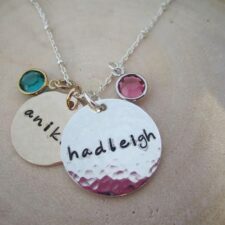 Choose your own disc size, letter size, birth stone. 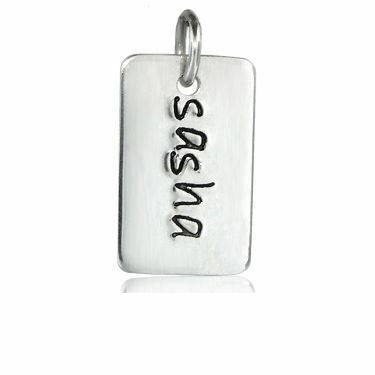 You can birth dates to make it a unique one of a kind piece. 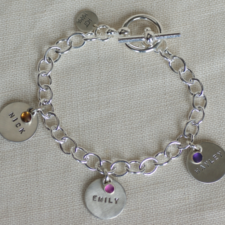 Bracelet looks great with one charm. Add charms to the personalized bracelet as your family grows. 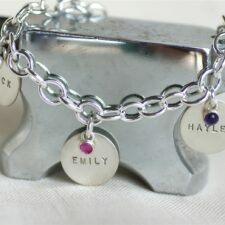 Price includes 1 charm and bracelet. 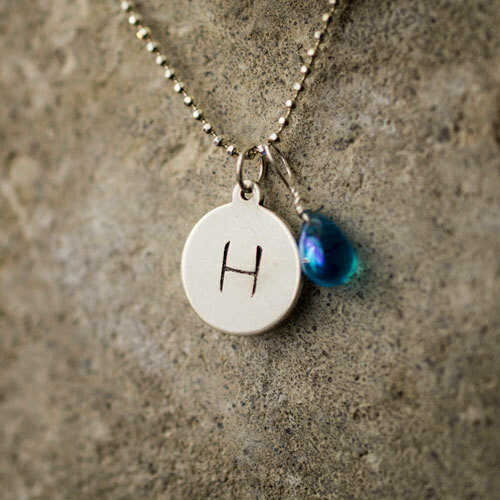 Birthstones are extra charge. 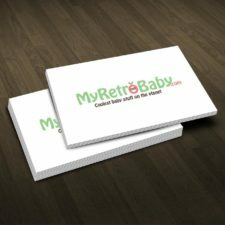 Shop My Retro Baby for mom necklaces, personalized bracelets, birthstone rings and more.